As Cape Coral’s architect, Castellanos + Tramonte is designing and overseeing many healthcare architecture projects in Southwest Florida. Cape Coral is an ideal city for expanding healthcare and medical facilities. According to the U.S. Census data, between 2000 and 2010, the population of those 65 years of age and older increased by nearly 30 percent in Cape Coral alone. So what does that mean for architecture? Well, it means that the city will need to continue to grow its hospitals, medical facilities, and senior living centers to accommodate the population. There are many important considerations when designing for healthcare in 2018. Sadly, there are times when patients are in healthcare facilities for long-term stays. While it can feel nearly impossible to be at home in an environment that feels so sterile there are certain initiatives, that begin with the design, to create a less industrial feeling. When designing for healthcare adding touches of color, installing larger window bays to create natural light, and furniture that mimics home decor are just a few ways to give patients a more peaceful experience. Just as extended stays in healthcare facilities can make you melancholy, they can also create an air of anxiety. More and more healthcare design and builds are creating environments that provide an access to nature or views of nature. Studies have shown that views of nature or access to plants not only speed patient recovery but it also encourages a calm environment for patients and staff. When building facilities sometimes location is not a choice but creating spaces with optimal window views and plenty of natural light are calming and increase a sense of healing. Optimal facility function starts with how the space is designed and built. At the forefront of healthcare architecture is the objectives to reduce infections, speed recovery periods, and improve staff performance. It can be difficult to process that sometimes upfront costs can considerably lower costs and optimize systems in the long run. 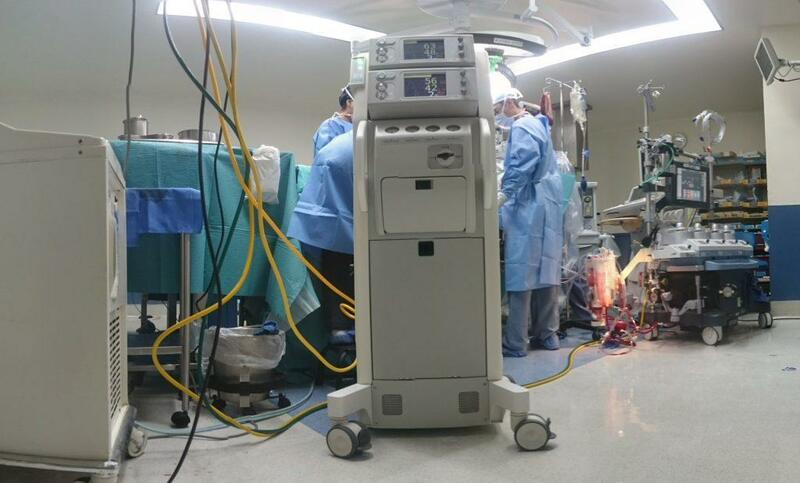 It is essential when designing for healthcare to accommodate growing and changing machinery. While certain systems or daylight providing window systems may have a hefty bill, it can increase work performance for the employee, recovery time for the patient, and reduce long-term turnaround times that make the entire system more efficient. And to think, it all starts with the design! From nurse practitioners to doctors to family members, a patient can have any number of visitors in a room at a certain time. And this does not even account for fact that there could be a number of patients in each room. Hybrid products, such as sofa beds and recliners are often used in situations to make a comfortable but functioning space for both patients and their families and is an easy implementation that goes a long way in healthcare architecture. When healthcare architecture takes scalability into account from the start, it can help to eliminate overcrowding by creating efficient systems for performance. There are many advancements to consider when designing for the healthcare industry and they are continuously growing. Both architecture and healthcare are consistently growing and developing. What remains the most important aspect of healthcare architecture is to put the patients’ needs and comfort first. At Castellanos and Tramonte Architects, we are well versed in the designing and building for the healthcare industry. We specialize in a variety of industries in the Cape Coral and Fort Myers areas. Contact us a call today at 239-549 0997 to get your commercial architecture project started. View our healthcare portfolio here.